It's today it's now! 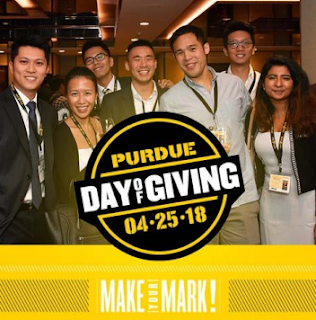 For the next 24 hours please join Boilers around the Globe and support our Purdue Day of Giving 2018! Let's set record together - with the courtesy of our fellow senior member Mr. CH Kwan's "Purdue Hong Kong Legacy Scholarship" - Purdue’s first country supported international scholarship！ BOILER UP!